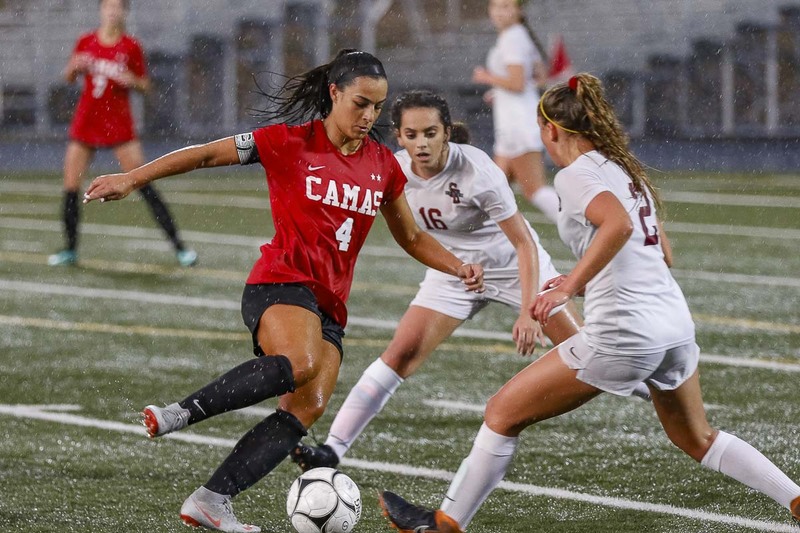 CAMAS — She can recall her first match with the Camas Papermakers, the only freshman on the team, and she knows she scored a goal that night. Now a senior, she can cite three favorite goals from her record-breaking career. As far as details on all the other goals, well, that would be nearly impossible. Just too many to remember. Maddie Kemp is fast approaching the century mark. With her five goals Wednesday in Tumwater, the two-time high school All-America designee has 95 for the Papermakers. After recording 16 her freshman season, she followed up with 31 as a sophomore when Camas won a state championship and then 41 last season. Kemp has seven in the first four matches this season. 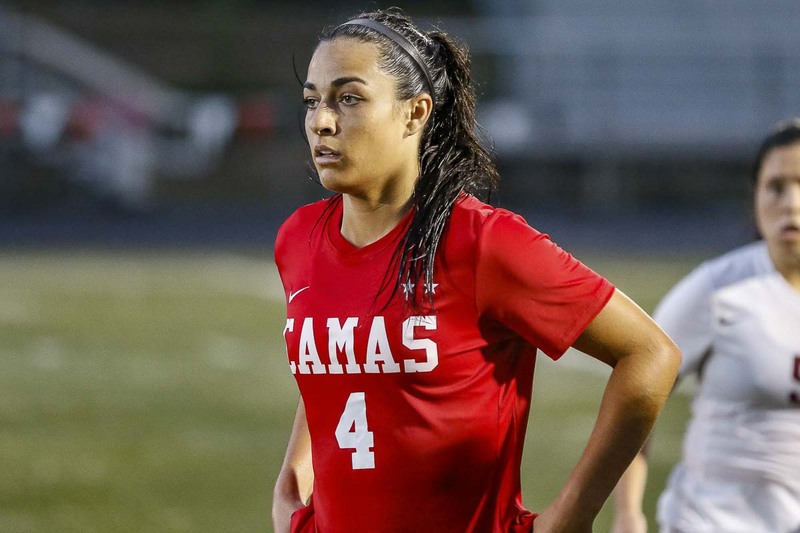 Earlier this week, Kemp sat down with ClarkCountyToday.com to talk about her time with Camas soccer, her team’s objective this season, her college choice, and just what it has meant for her to represent this program. The school’s all-time leading scorer did not think of the significance of her first varsity goal, back in September 2015. She was not surprised nor did she feel it was a big moment when she scored in her first high school competition. “It was just another goal,” she said. As far as being the only freshman on the team, that, too, was no big deal. “I wasn’t scared. I’ve always been super confident, and soccer has been my most comfortable area in my life as long as I could remember,” she said. Plus, her older teammates embraced her. She was not just some hot-shot youngster. She was immediately part of the family. While Goal No. 1 was nothing special, there are a few that stand out for Kemp. 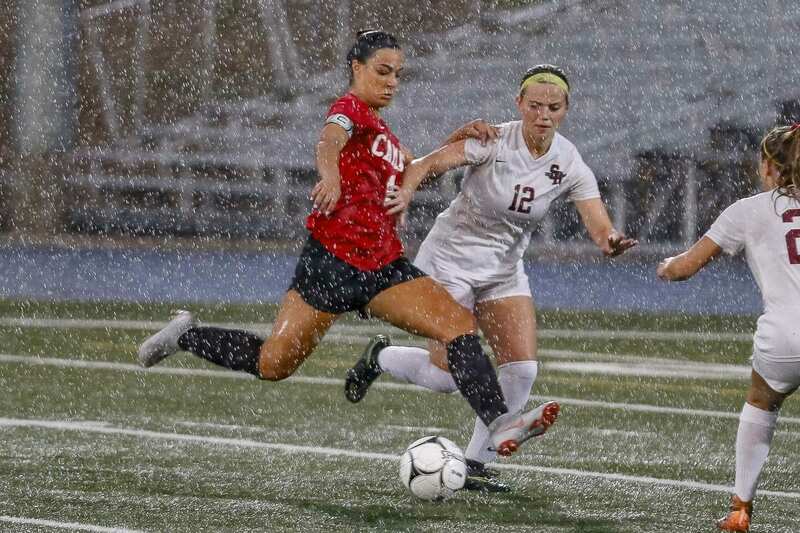 As a sophomore, playing on one of the greatest soccer teams in Washington history — the undefeated team gave up two goals all season — she scored a playoff goal for the ages, megging one defender and then blasting the ball past a shocked goalkeeper. Last season, rival Union was leading Camas 1-0 late in the match when Kemp got the equalizer. No way was Camas losing to the Titans on this night. “My favorite, by far, when I broke the school record,” Kemp said, referring to Goal No. 83. Jazzi Paulson got the assist, and that was special, too. “My goal off that pass broke the goals-in-a-career record and that pass broke the assist record for a season,” Kemp said. 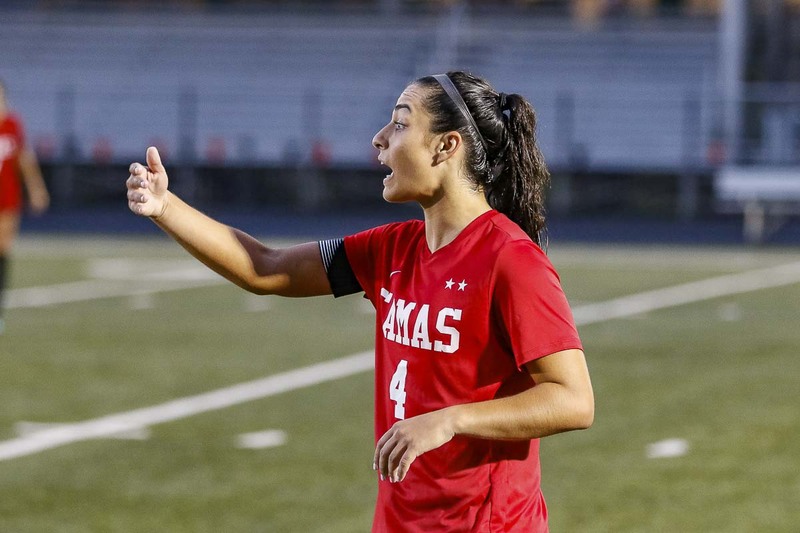 Her individual accomplishments will be remembered for years at Camas, but all of those goals, she said, come from the team. A defender or the goalkeeper had to first stop an opponent’s attack. A teammate had to look for the “goal-scoring type” player wearing No. 4. In fact, she said the thing she was looking forward to the most this season was not adding to her school record, but being a senior captain. She wants to lead and encourage, just like the seniors did for her back in 2015. The Papermakers have always been about celebrating their victories together. And consoling each other in defeat. This. Is. A. Team. A powerful one, as well. In 2016, the Papermakers went 21-0-1 and won the Class 4A state championship. “Definitely one of the most special moments of my life,” Kemp said, adding that she had won state cups in club ball before but that could not compare. The Papermakers have reached the final four in all three of Kemp’s seasons. Naturally, another long playoff run is the objective this fall. The Papermakers also understand only one team can be the champion. The sport has helped develop her character. Specifically, this program under coach Roland Minder. With that foundation, Kemp went in search of a college program to join. With her talent, she could have gone to a Pac-12 school or perhaps another national power. Instead, she intends to sign with Gonzaga University in Spokane. A fine school, of course, but not (yet) considered a power in women’s soccer with its only NCAA appearance coming in 2005. Head coach Chris Watkins and assistant coaches Lexi Brown and Josh Patino “know how to make you love the game even more than you do already,” Kemp said. They also understand Kemp’s philosophy that it is not all about soccer. Before heading off to college, she also is growing as an athlete. Literally. Always a natural talent and often times stronger than her opponents, Kemp never lifted weights … until recently. “I’ve always been pretty built, so I never needed to lift,” she said. Last spring, she started working out with New Athlete, gaining an appreciation for those who work on their bodies to gain a bigger edge in competition. “I wanted to utilize my time to make myself the best, physically, I could be before going into my last season at Camas and then my first season at Gonzaga,” Kemp said. Now, here she is, in that last season. And now, only five goals from 100. Kemp prefers to stay away from discussing the number. It’s sports, after all. It does not happen until it happens. There are no guarantees. But she promises to keep putting herself in position to score, because that is what the team needs from her. Wherever she finishes this season will be the final number of her high school career. That is tough to comprehend, too. After all, Maddie Kemp loves being a Papermaker, and she loves all of those who make being a Papermaker so special. Seriously, how many athletes do you know specifically ask to thank the school’s athletic director, Rory Oster, and athletic secretary, Marcia Johnson, for all of their support? Kemp does not want to forget anybody.